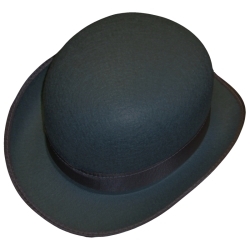 Permalux Bowler Hat. Available in black or gray. One size. A great period hat from the late 1800's and up. Perfect for Charlie Chaplin or Laurel & Hardy.